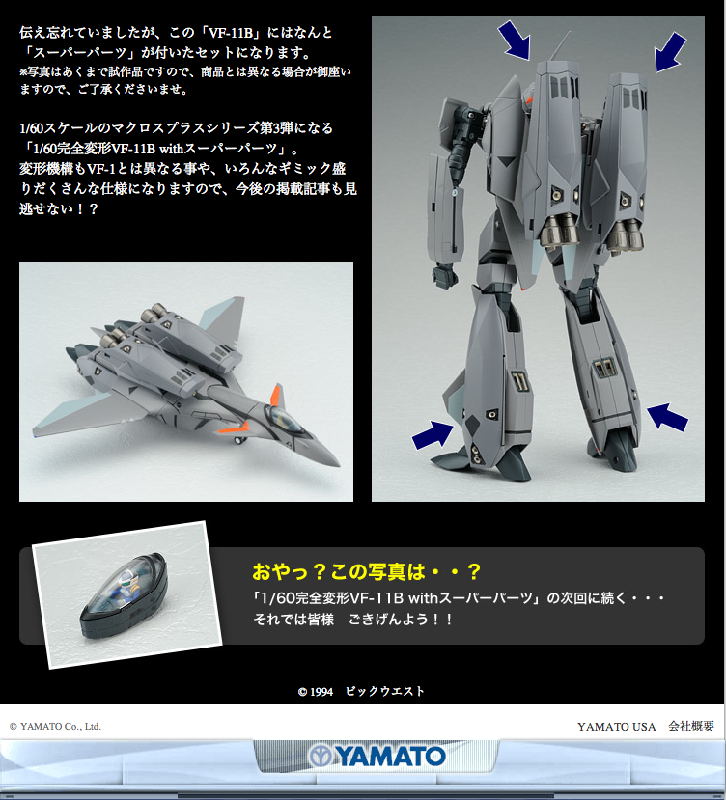 Set for release in spring 2009 is Yamato’s Macross Plus VF-11B Thunderbolt. 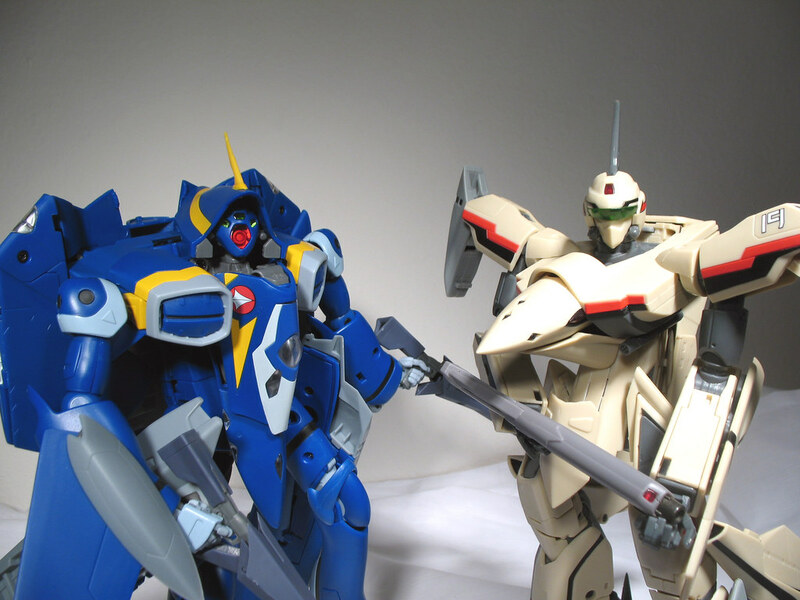 This popular mecha is flown by Isamu Dyson, prior to flying the YF-19 Excalibur. 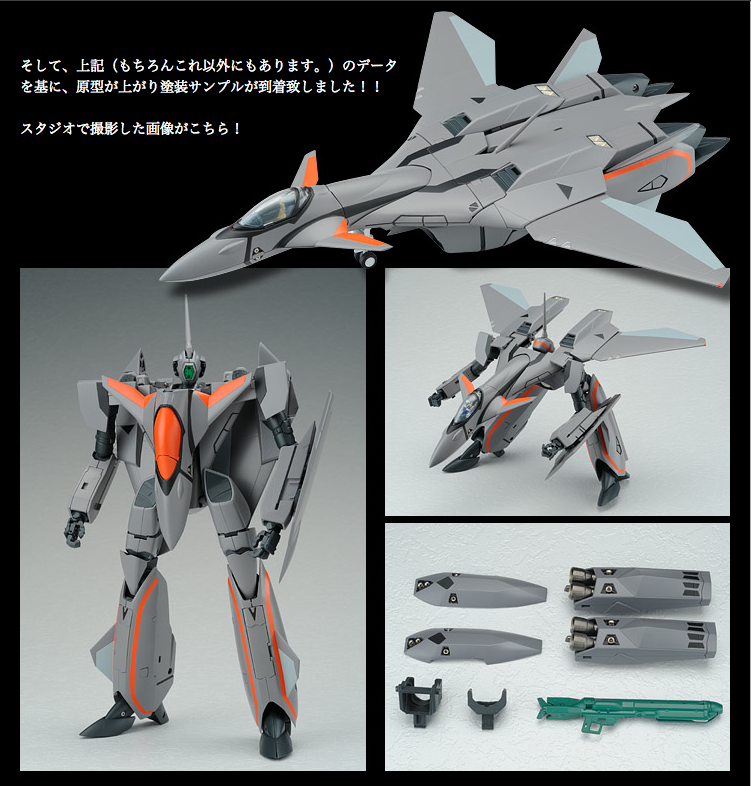 With design influence by both the VF-1 from the original Macross series, and the Russian SU-27(T-10) Flanker series of fighters, this mecha is a fan favorite, with a sleek fighter mode and battroid mode very reminiscent of the VF-1A. 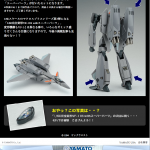 This toy will come with FAST packs, and a removable cockpit capsule. 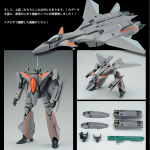 In the Macross Plus series, when used as a chase plane, Isamu’s VF-11B was mounted with two atmospheric boosters, could those be far behind?